Please Read, Strange Ingredients. 1. This supplement contains 3 types of flour????? (the process in making whey does not need or require flour so why...?) 2. 10th & 11th ingredients are sugar and palm oil, palm oil is carcinogenic meaning that it assists in causing cancer, oh and we all know how healthy sugar is....) 3. Added salt (why) 4. Contains dextrose (extremely unhealthy unless taken after workout) 5. The 13th ingredient is High fructose corn syrup not only is this corrosive to your liver but it has a G.I of 83 6. Sodium Bicarbonate..... This ingredient is useful for cleaning stains on your teeth and corrosion on pipes.. 7. It contains 3 different gums to bind the protein together while not exactly bad for you their is no need for 3. 8. Artificial Flavours, Artificial flavours are a no. and especially if they don't list what type they are. If you are curious on why a product like this is rated so highly and is awarded so many awards then consider this. Optimum Nutrition spends all their money of advertisement and marketing that they have little to spend on actual products or research thus getting you poor quality products that i can assure you do not contain 24 grams of protein per 30 as they are not tested at all. If you were to ask someone who works at Optimum Nutrition who do you sponsor they would go through a list of a hundred. Then if you asked them why do they spend all their money on the sponsors not the products they would go silent. So if your still not sold on how bad this product is look at the ingredients list. I love Adenergy Stack as well. Not only does it contain Creatine, Taurine, and Glutamine, but it has the stabilized ATP, the energy building block of the body. I noticed results immediately, being able to have longer, higher intensity workouts, and my strength gains were pretty great too. 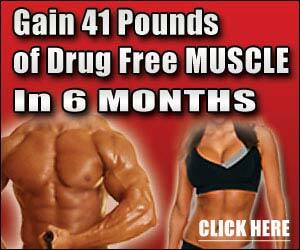 Reduced soreness, lean muscle gain, great benefits. Now I mix it with a new superhydration drink called AQUISS and it's insane. The AQUISS has a delivery system that allows you to start absorbing water, electrolytes, and antioxidants directly into the bloodstream starting in the mouth, and you absorb more of whatever you mix it with. I found the combo that is unbeatable!